Tue, Jun 21, 2016 - , , New York, N.Y. Since the summer of 2014, America has been convulsed by the Black Lives Matter protest movement. Triggered by a series of highly publicized deaths of black males at the hands of police, BLM holds that police officers are the greatest threat facing young black men; and that the entire criminal justice system—from prosecutors to drug laws—singles out minority communities for gratuitous, heavy-handed enforcement, resulting in an epidemic of "mass incarceration." 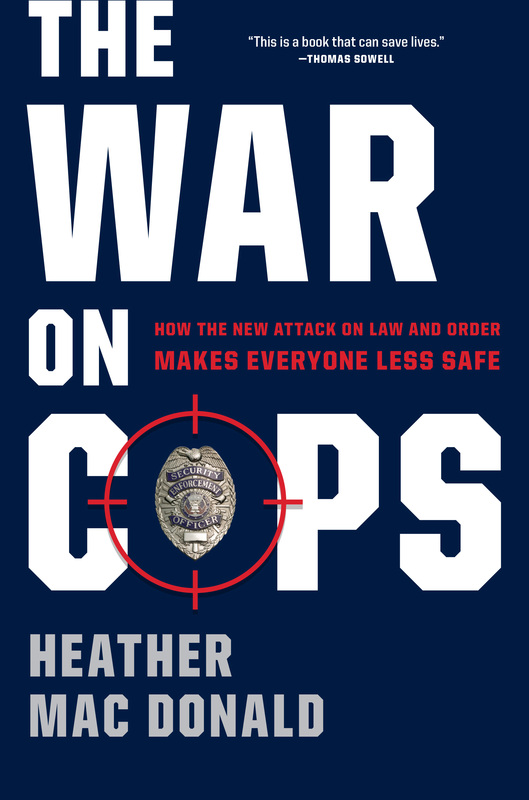 In The War on Cops, journalist Heather Mac Donald, who first identified the "Ferguson effect," lucidly explains how this new attack on law and order threatens to reverse America's historic, decades-long reduction in crime. The intelligence-led policing revolution that began in New York and spread nationally, she notes, has transformed U.S. cities for the better: in New York City alone, more than 10,000 black and Hispanic males are alive today who would have been killed had the NYPD not brought homicide down 80 percent from its early 1990s level. Through vivid, street-level reporting, The War on Cops gives voice to the many residents of minority neighborhoods, rarely heard in the media, who strongly support proactive policing and want more of it. Heather Mac Donald is the Thomas W. Smith Fellow at the Manhattan Institute and a contributing editor of City Journal. A 2005 recipient of the Bradley Prize, she holds a B.A. from Yale University, an M.A. from Cambridge University, and a J.D. from Stanford University.